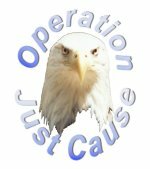 Source: Compiled by Homecoming II Project 15 June 1990 from one or more of the following: raw data from U.S. Government agency sources, correspondence with POW/MIA families, published sources, interviews. Updated by the P.O.W. NETWORK 1998. REMARKS: S Sergeant Moore flight mechanic on a C-123B aircraft which was on a flare dropping mission when he was reported missing in action. The aircraft was observed by ground personnel to catch on fire and crash. Evidence of death on Sergeant Wall was recieved in THe Department of the Air Force on May 21,1966. Since his remains have not been recovered and returned, he is listed by The Department Of Defense as unaccounted for in Southeast Asia. SYNOPSIS: The Fairchild C123 "Provider" was a night attack system/transport aircraft based on an all-metal glider designed by Chase Aircraft. The airplane's C123B prototype first flew on September 1, 1954. The C123B, in the hands of a group of airmen who called themselves "The Mule Train" became the first transport to see Vietnam service. The C123B transports were soon joined by UC123Bs of the now-controversial Project Ranch Hand which sprayed pesticides and herbicides over Vietnam, including Agent Orange. The Provider, particularly in camouflage paint with mottled topside and light bottomside, resembled an arched-back whale suspended from the bottom midpoint of huge dorsal wings. Like other transports, the Provider proved its versatility during the Vietnam war. The C123 also dispensed flares to illuminate targets for fighters or tactical bombers, and were dubbed "Candlestick" when they served in this capacity. SSGT William J. Moore and Airman First Class Jerry M. Wall were crewmen assigned to a C123B squadron which was dispatched on a Candlestick mission on May 18, 1966. The aircraft was dropping flares about 45 miles east of the city of Pleiku in Binh Dinh Province when it was hit by enemy fire and crashed. Among the crew of the aircraft, only Wall and Moore are missing. Public information provided by the Air Force indicates that the rest of the crew was found dead and thier bodies were recovered. It was determined that Moore and Wall (who was the loadmaster) were killed when the aircraft crashed and that it would never be possible to recover their remains. For Wall and Moore, death seems a certainty. For hundreds of others, however, simple answers are not possible. Adding to the torment of nearly 10,000 reports relating to Americans missing in Southeast Asia is the certain knowledge that some Americans who were known to be prisoners of war were not released at the end of the war. Others were suspected to be prisoners, and still others were in radio contact with would-be rescuers when last seen alive. Many were known to have survived their loss incidents, only to disappear without a trace. The problem of Americans still missing torments not only the families of those who are missing, but the men who fought by their sides, and those in the general public who realize the full implication of leaving men unaccounted for at the end of a war. 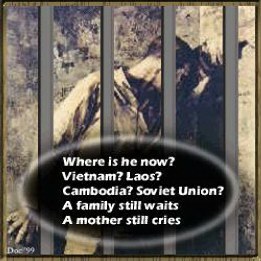 Tragically, many authorities believe there are hundreds of Americans still alive in captivity in Southeast Asia today. What must they be thinking of us? What will our next generation say if called to fight if we are unable to bring these men home from Southeast Asia?